The climb starts at the intersection of highways 100 and 17. This is a three part climb. The first half is dead easy – 3 miles of warm up – thinking "wouldn’t it be nice to ride to the top like this". More of a false flat with some gentle rollers along the way. Then there is the second part. There is a bend in the road to the left (it’s always to the left!) and onto the small ring for some serious up slope riding. The next mile and a bit is stiff but not brutal. The ski station comes into sight and it is easy to be seduced into thinking that is it. Not so. The third part happens when you arrive at a giant right 180 sweeper with the ski station on your left. Up ahead the road disappears into the forest and then you are onto the last part. What remains is just under 1 1/2 miles of really steep stuff that twists and turns until finally the end is in sight.....up and to the left you can just make out the top of the road - a real peak....There is a parking lot with viewing stations there and in either direction is steep down. The surface is sublime and if descending is your thing then this one is for you. 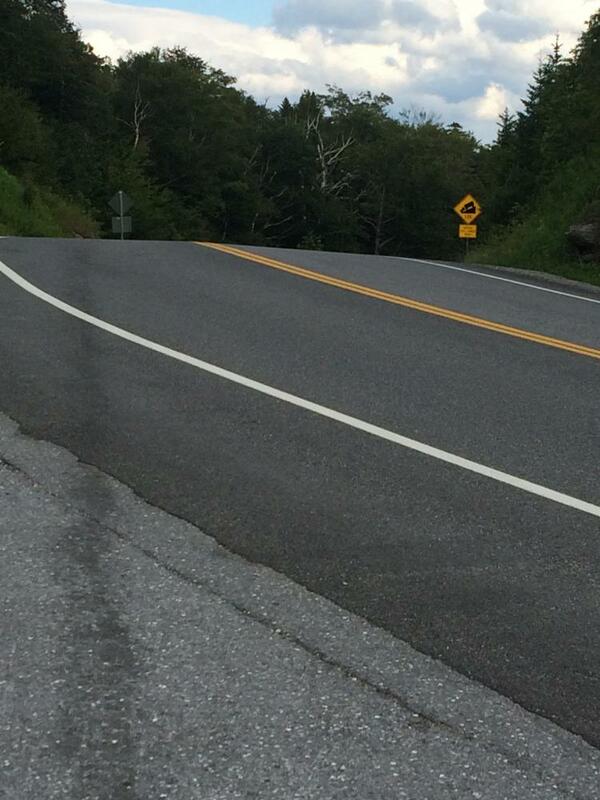 There is a reasonable amount of traffic on the climb but I never felt threatened as the shoulder is very good. Caveat: I started this ride at 4 pm - not my favourite time so I went into it with a little bit of attitude. Road surface: Outstanding Traffic: Somewhat busy but mostly a good shoulder. Start Parking / Amenities: There is a Valero Gas Station at the start....good for post ride drinks. I parked in the used car lot next door.....it was closed.